Stay with me for a minute, and let’s explore the health benefits of going vegan. Statistics show that the prevalence of high blood pressure in African Americans is the highest in the world. In addition, African Americans are at a higher risk of being affected by obesity and diabetes. Studies have shown that eating a healthy plant-based diet, along with exercising at least 30 minutes a day, not smoking, and not being obese, can cut your risk of disability and death from chronic diseases by up to 90%. Vegan diets tend to contain less saturated fat, less cholesterol and lower calories. Vegan diets are also usually higher in dietary fibre, and macronutrients such as magnesium, folic acid, vitamins C and E (1). In addition, statistics show that vegans tend to be thinner, have lower serum cholesterol, and lower blood pressure (2). As such, a well-planned vegan diet could help to reduce risks of obesity, heart disease, high blood pressure, and type 2 diabetes. 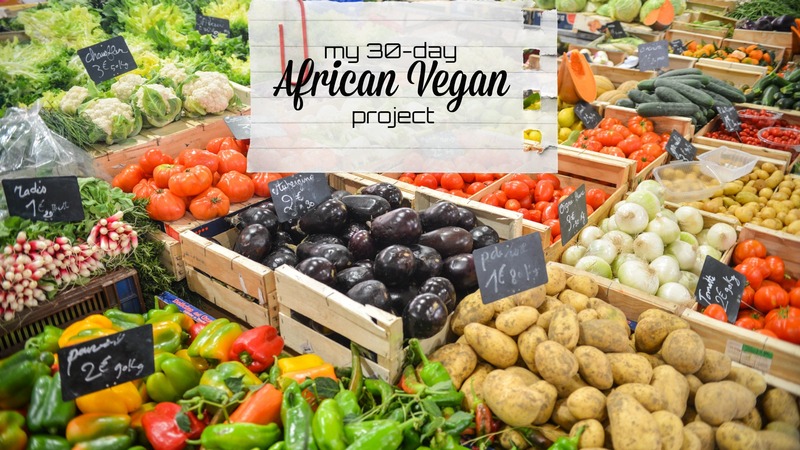 So for the next 30 days, I am going to be trying out different African vegan recipes, and documenting my 30-day journey. 1) learn more about going vegan – Arm yourself with knowledge to support and motivate you during the transition. 2) vegan-ize current meals. Start with simple substitutions, replacing meat in your favourite recipes with vegetables. 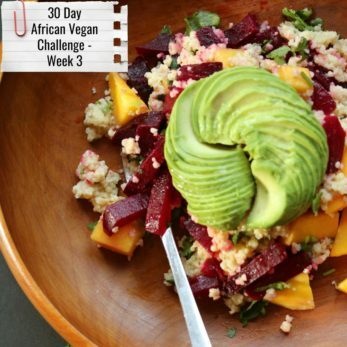 3) slowly expand your vegan recipe box by finding new vegan recipes to try. 1) Legumes: chickpeas, lentils, black beans, black-eyed beans… I sense a plethora of Ethiopian, Ghanaian and North African recipes are in the works. 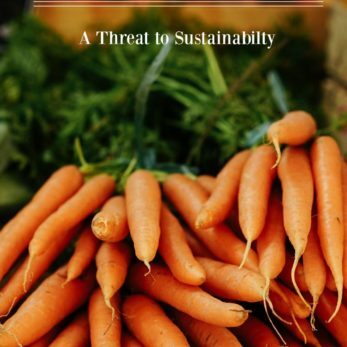 2) Veggies: oh how I love my veggies – and I get to continue to eat loads of them… Pumpkins, squash, plantain, sweet potatoes, taro root, okra and of course, the leafy green vegetables; spinach, collard greens, amaranth, pumpkin leaves, and kale. 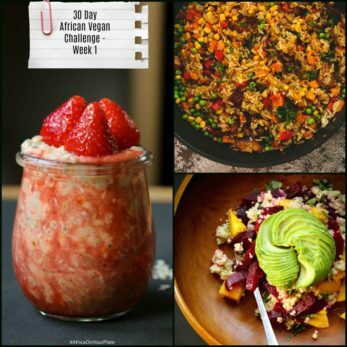 3) Grains: I will be stocking up on some grains already in my pantry – millet, fonio, and bulgur. 4) Flavour Enhancers: As a meat lover, I know one of my challenges will be living without the umami flavour that meat introduces to a recipe, so will definitely try this method of using shiitake mushrooms or miso to pack a flavoursome punch to my recipes. 6) Nuts: ground flaxseed, walnuts, peanuts! 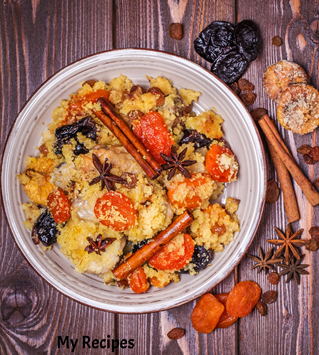 And of course, nutritional yeast is a must – for added flavour, and loads of vitamin B12. 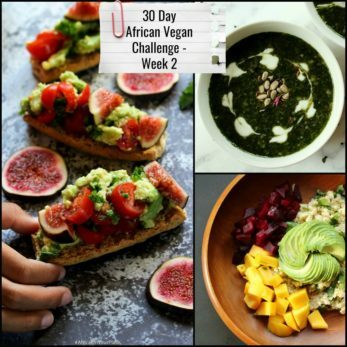 PS – You can read about my Week One update on my 30 Day African Vegan Challenge. Your going on a vegan challenge and veganizing your foods, I’m here for that. Thanks Malikah. I am looking forward to sharing those recipes here. Thank you Didier for stopping by! 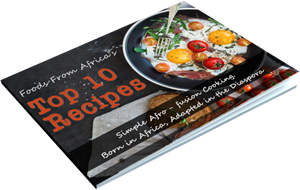 Hi Greg, I am currently working on an African-inspired cookbook. Do subscribe to the blog so you are updated when it is available. Thanks so much for your support! !